This book is a thrilling tale of a high school senior trying to locate and win over the elusive and mysterious Margo Roth Spiegelman. 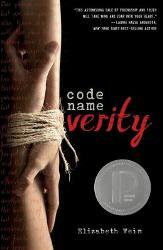 I enjoyed this book because, as a high schooler, many aspects of the characters are very relatable. When I first started reading Paper Towns, I didn’t particularly like the writing style and the way the characters were portrayed, but as I read on, the characters seemed to get more and more complex and real. My favorite part of this book is Margo Roth Spiegelman’s adventurous yet despondent characterization. Despite the slight predictability of this book, I would definitely recommend it. 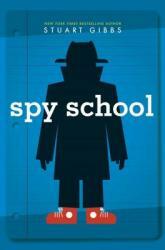 Spy School, by Stuart Gibbs, is a really good, light, and easy read. 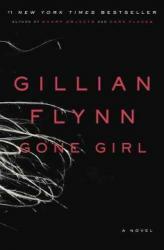 The book's main attraction is its plot twists. The unknown double agent, hidden 'spy' school, and secret organization all combine to make a great action-packed, half-romance novel. The ending also gets the reader hyped up for the next book in the series. Stuart Gibbs uses great foreshadowing throughout the book, and hints at every little detail in the plot. Although the plot is sort-of cliche and some characters are kind-of bland, the book sums up to be a highly entertaining read. I would recommend this book to anyone willing to put in the little time it takes to read it. The novel “Paper Towns” by John Green is an amazing journey that takes a boy named Quentin to places he never thought he’d be. It starts off with a girl named Margo sneaking into his room to then convince him to sneak out with her. They have an amazing night full of adrenaline. Margo made Quentin step out of his comfort zone and see a whole new world. But the next morning when Quentin wakes up, Margo is gone. She goes missing for weeks, and no one knows why. 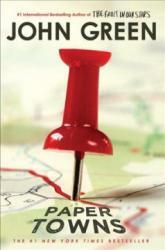 Quentin then starts finding clues left by Margo which starts his adventure to find the mysterious Margo. I enjoyed this book because something interesting happened every chapter and I couldn’t put the book down. This book is also about people in high school, so I can relate to it. 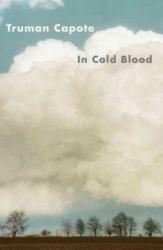 This book is a drama/mystery novel which makes it very intriguing. This book was not very predictable, it tends to leave you in edge. I’d recommend it to someone who like to read high school stories. I also watched the movie before reading this and still loved the book! I loved reading this book. I loved everything about how it was written, how diabolical and shrewd the main character, Amy, was. Most of the book had me at the edge of my seat, eagerly lapping up the story as fast as I could. Then I got to the last quarter or so of the book. There came a point where Amy's plans and character changed a little to drastically to be consistent with who she was throughout the majority of the book. And after that, the quality of the writing also noticeably changed, as if a different author with a different writing style picked up where Flynn left off and finished the story from there. And THEN to add further insult to injury, the ending was just terrible, and somewhat unbelievable. Daniel Hudson Burnham and H.H. Holmes. 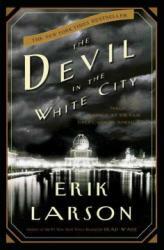 Burnham is the famous architect who directed the construction of the fair and Holmes was a psychotic, but genius and seductive, serial killer who used the World’s fair to lure his victims, almost always women, to their death. Although their lives different, their stories and accomplishments are intertwined and connected, which Larson seeks to condense. With a meager three years to build the fair, and setbacks such as the death of his partner, weather, and health issues, Burnham struggles to finish the fair on time, more or less make it better than France’s. Meanwhile, Holmes uses his persuading words and charms to commit fraud, acquire debts he never plans to pay back, and worst of all be able to kill and dispose of human bodies with ease. Burnham’s and Holme’s stories never connect in the beginning, and they never meet each other, but as Larson explores the events of 1890-1893, the connection between them becomes clear. Holcomb, Kansas 1959, the Clutter family was brutally murdered and no one knew who or why they did it. Truman Capote wrote this book as a novel, with dialogue between the murderers and the family; although he was not there, he gathered as much information about the murder as possible and was able to turn it into a book instead of a document. Moving on, the story follows the life of the Clutter family before and after they were murdered, however it focuses more on Richard Hickock and Perry Smith, the murderers of the Clutters. In need of cash, and fast, Hickock calls his old jail friend Perry Smith and they decide to execute a robbery of the Clutter family, who they thought were rich. After invading the house and finding no cash, they dispose of the Clutters, rid of the clues, and escape the law for as long as they could. I love this book since it enables the reader to have a mystery going on in their head and also because murder was uncommon back in 1959, so it enables the reader to feel how it was to hear of a major crime, such as this, back then. I recommend this book to every reader out there, it was very well written and one of the most amazing “New Journalism” type of books, as Capote said. 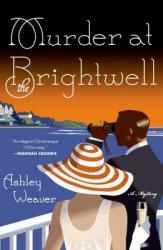 Amory Ames has left her philandering husband for a vacation by the sea with her erstwhile fiance on the pretense of talking his younger sister out of marrying her dastardly fiance. After a day of vacation, the dastardly fiance is murdered and the erstwhile fiance is suspect #1. Amory is convinced her old fiance is innocent, and works to clear his name. At first, I was not at all sold on this book. The beginning is very slow and weighed down by constant descriptions of the sartorial choices of the many characters. The main character also initially comes off as a bit of a prickly doormat. Fortunately, about halfway through the book, the pacing picks up, the story gets really interesting, and our main character gets much less annoying. Her relationship with her husband, however, never ceases to be annoying because...did people not talk to each other in 1930s England? It was an unapologetically unhealthy relationship that was ultimately frustrating to read and was left (purposefully) unresolved at the end. I don't read a ton of mysteries, but this one ended up being a lot of fun! Its kind of like an old school mystery where there is a cast of characters/suspects in one setting and you KNOW one of them did it...but which one? Based on what other readers have said, it's Agatha Christie-esque. I was able to guess the "who" but not the "why", and the book ended up being entertaining enough that I immediately checked out the sequel, Death Wears a Mask. I'd recommend it to mystery lovers who like their mysteries with a historical setting and a touch of fashion. 3 stars. Quentin, or Q, has had a crush on Margo for ages. So when she invites him out on a night full of revenge, he agrees to help her. After the night is over, Margo disappears. Q finds a trail of clues that she's left behind and vows to find her. After all, it is what she wanted. Right? I liked this book. 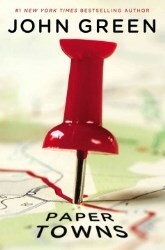 I found the subject of paper towns to be fascinating. I like how the author decided to incorporate them into his story. A new narrator takes over -- Verity's friend and pilot Maddie. She was the one flying the plane that brought Verity to France. She is less uppity, less conceited, and altogether more relatable and likable. She tells the other side of the girls' story -- her training as a pilot, her friendship with Verity, and what happens to her when Verity is captured. I found myself rooting for her all the way. She also managed to make Verity more likable, and as more is revealed, I discovered that I enjoyed them both. By the end of the book, I saw both of them as exceptionally brave characters to be respected and admired. Although this book is fiction, there are many references to real-life WWII intelligence operations, and plenty of mechanical details concerning planes that are also interesting. The book improves significantly as it progresses -- if you don't like the first half, wait for the second. Anyone who is interested in history or espionage will probably like this. Additionally, it develops into a beautiful story of the power of friendship and sacrifice, but is never sappy. I probably wouldn't read it again, at least not for a while, but it is definitely worth trying. This book is about Verity, a spy imprisoned by the Nazis during WWII who agrees to write everything she knows down for them, just to buy time. I found the format very interesting in this book. Although it was slow and seemingly pointless at the beginning, the little details all come together in the end to complete the story. Even though the ending may appear predictable, it is pulled off in a surprising way. I liked the characters in this book; most of their personalities were well developed and there were some plot twists about them revealed later in the book.